Haha the only way this one would have been better is if it fell on Halloween. I figured you’d do something for #666. You sure delivered. AWESOME! i immediately fell out of my chair after laughing at this. i literally did fall out of my chair. i blame the fact that this is #666 and has a devil baby. you cursed me, #666…. I actually laughed… it was made even funnier because of the fact that the text loaded well before the image, so I was like “…?” before the image appeared. I sat here looking dumbfounded for about 10 seconds then I realized it was #666. HAHAHA, that’s awesome. I was also confused at first but once I got it I thought it was awesome. Great pic to use! And what we want are devil babies! Obviously! 666 and a sweet child in a devil costume. Creatively awesome. Terrific, so clever, it’s AWESOME!! I can’t wait for #420! Funny…..verrryy Funnny!!! Guess which costume I’m gonna suggest for my smallest grandson? As I scrolled through the pages I noticed I was getting closer to 666. I was wondering what would be the post on that number or if they would even recognize the number as anything at all other than just another number. You did. Which is AWESOME. Ohmygoodness this is amazingg !! Holy crap YES. Almost everything on this website (since I’m only 14) has applied to me! SO RAD keep it up you awesome man, you. Several years ago, when I was getting fast food, I looked down at the cash register just as the total came up: $6.66. The cashier started to say, “That’ll be…” then looked at the numbers and very clumsily suppressed a look of horror. She paused, pressed a few more buttons, and a single digit on the total changed. She finally regained her ability to speak and concluded, “six sixty-seven.” I was in a rush, so I didn’t ask any questions, but when I looked at my receipt in the car, it had a mysterious additional item costing one cent. I nearly crack up every time I remember that! Jose, this nearly eact same thing happened to me at a restaurant. Neil, I have to agree with nearly everything here-in~ very thoughtful! oh and I have to admit, I was somewhat frightened to get back in her car for the ride home. Really she’s my neighbor, a really good person and friend! 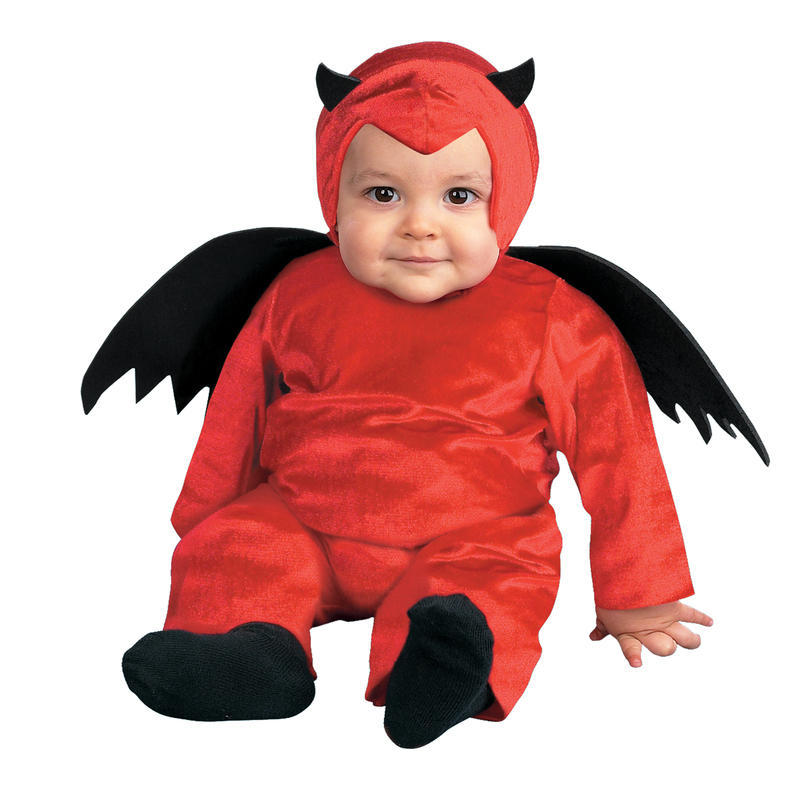 I searched and searched the #666 awesome things and this Cute Baby in a Devil Suit Appread.. LoL… \m/ ..